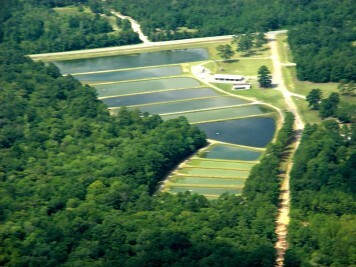 Bowens Mill Hatchery is located just south of the Wilcox/Ben Hill line in Ben Hill County. It is located 10 miles north of Fitzgerald on U.S. Highway 129. The hatchery raises hybrid bass and striped bass for stocking into public reservoirs. Largemouth bass, bluegill, redear sunfish (shellcracker), and channel catfish are raised for stocking into private ponds. Some channel catfish are grown to catchable size for stocking into PFAs and for kids fishing events. 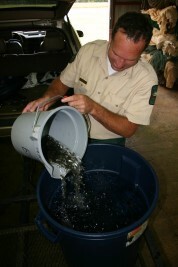 Some largemouth bass are raised to a larger size for stocking into north Georgia reservoirs where survival of larval bass has been unsuccessful.